Google Now Knows What You Did Last Summer!!! Google Now is now a direct competitor to Apple’s Siri. 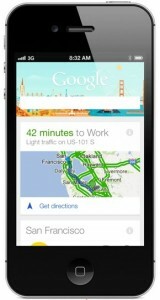 Google Now is an intelligent virtual personal assistant similar to Siri. 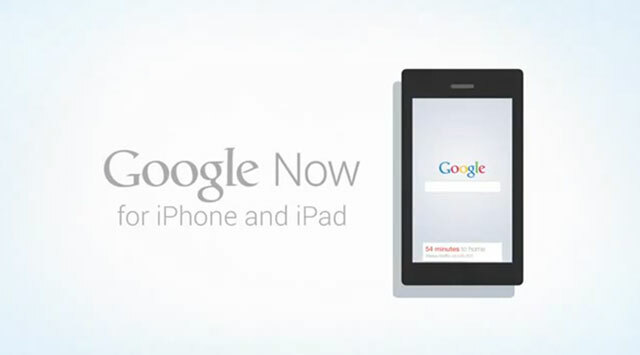 Recently Google Now became available on iOS for iPhones and iPads. Google Now access a lot of personal information on someone’s iPhone/iPad. There are many privacy issues related to the use of Google Now. Google Now analyzes your browsing history, mail, calendar events, and other activity on your iOS device to “predict” information that you will need before you even think about needing it. Here is an example of how Google Now is your personal assistant: You have meeting scheduled for later today in Aurora. The meeting is scheduled in your Calendar app. Google Now accesses your calendar and from the information that it obtains, it creates a “card” that gives you map, directions, and current traffic conditions to the meeting. When you repeatedly search for a particular sports team’s score on the internet, Google Now automatically displays the previous night’s final score on a “card.” If Google Now detects that you are in a foreign country, it will provide a “card” with a translator and a currency convertor. Google Now does allow you to select what information you share with Google Now. However, the less information you provide to Google Now, the less useful, reliable, and efficient it becomes. Google Now can be a very convenient tool for everyone. However, Google Now on iOS does not allow you to send e-mails using only your voice and you cannot access with the push of the “Home” button like you can with Siri. Google Now also only works with other Google products, such as Google Calendar. It was also released with glitches and users have complained of battery problems when using Google Now. While I can see how Google Now can be a great convenience for me, I cannot get past the fact of how much information it will obtain from my iPhone. That information could be stored on Google’s server for years and it could sell that information to advertising firms that would creep me out with very personalized ads. Perhaps if my information was kept on my phone and it never went through Google’s servers, I would be more open to using it. Would you be willing to provide extensive amounts of information in order to use Google Now? Are you concerned with your privacy in this technological world? What can Google do to alleviate the privacy concerns of its customers? Should Google be competing directly with Apple’s Siri on Apple’s own products? Is this Google’s strategy to win over Apple consumers? Did Google release Google Now on iOS prematurely since it still has bugs and is only compatible with Google services?